The Palazzo Condominiums in Panama City Beach, FL are among the newest condos in PCB and it definitely shows. Palazzo is a very clean and well-kept place to stay in Panama City Beach that is close to all the action located just over a mile from Pier Park. The atmosphere at Palazzo is more “adult friendly”, so if you are looking for a place to get away from the kids, this is one of your best bets! If you have kids and are looking for a fun resort, be sure to check out Splash. Palazzo features 2 outdoor pools, large hot tub, outdoor grill area, sauna, steam room, and small exercise room. Palazzo is also a non-smoking building meaning no smoking in the condos, balcony, building, walkways, pool areas or parking garage. It really is a fantastic place to stay in Panama City Beach and we have a GREAT condo rental to recommend below! Mention our “Inside PCB” website and receive FREE beach service that includes 2 padded chairs and an umbrella throughout your stay! This is a $30/day value! All you have to do is mention “Inside PCB” when booking your stay through the phone numbers below! 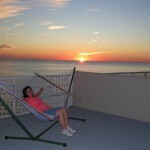 These condos are among the best-kept condos in Panama City Beach, Florida. They have a strict no pets/no smoking policy, which keeps the condos in great shape and continuously receive great reviews! We can absolutely recommend the following Palazzo Resort vacation rentals for your next vacation to Panama City Beach! If you would like to see more details about these condos from their owners’ website, you can visit them at http://pcbcr.net/Palazzo.htm or you can find them on facebook at http://www.facebook.com/PanamaCityBeachCondoRentals . Just be sure to tell them “Inside PCB” sent you to get your special offers!